Living on an island, we are especially aware of the importance of sustaining life for all future well-being and the need to lessen our ecological footprint. The Lopez Island School District’s (LISD) farm to school program (LIFE) began as a collaborative, community effort involving the Lopez Community Land Trust (LCLT), the Lopez Island School District (LISD), the Family Resource Center , the Lopez Island Education Foundation (LIEF), the S & S Center for Sustainable Agriculture, the San Juan County Conservation District, WSU Extension, and the Heller family. 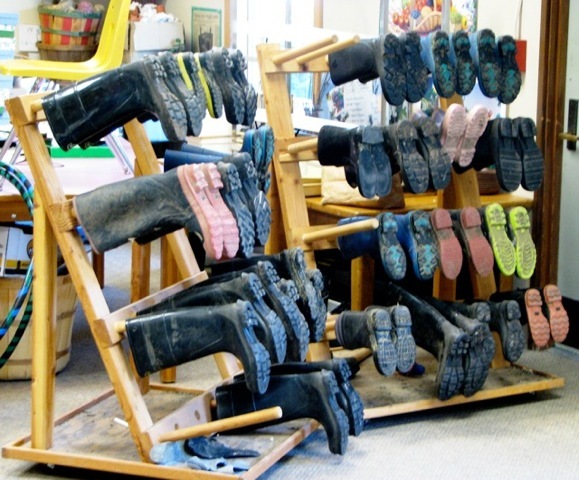 The LIFE farm to school program promotes an appreciation of nature, nutrition, aesthetics, community, land stewerdship, environmental awareness, and the value and joy of meaningful work. This program uses an integrated systems approach to address childhood obesity; provide nutritional education and meals; and teach principles of local and global ecology, social justice, and sustainability. The program literally grounds children in life skills, and fosters creativity and hope for their futures. With leadership from the LCLT, this program has since been integrated into the school system. The LCLT is proud to have had a role in this significant development. We continue to offer internships through LCLT for this program. 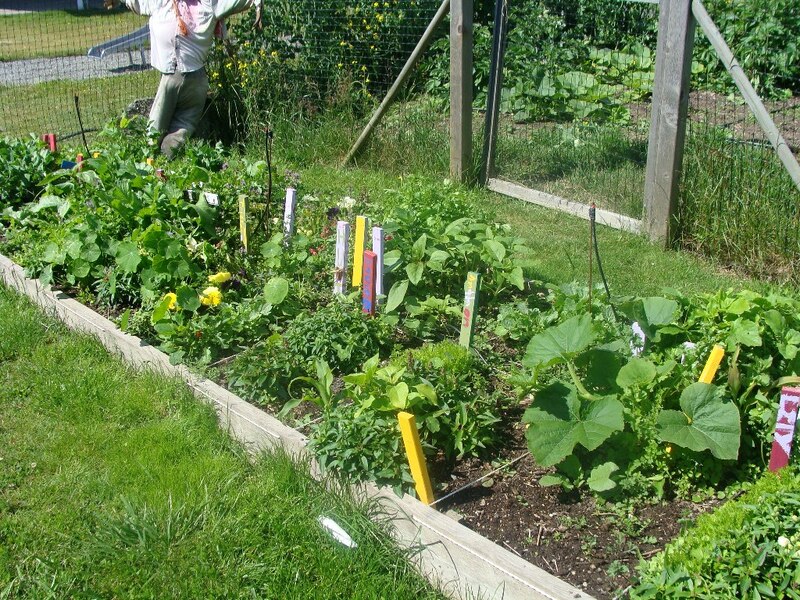 For the most recent information see their website: http://www.lopezislandschool.org/programs/garden. The following stories from the LIFE farm to school program inspire us to keep community support of this program. A teacher reported that she has been doing the vitamins and colors from Antonia Demas’s curriculum about nutrients, and the kids are literally just eating it up. They were asking her for vegetables and fruit. One boy said that he hadn’t eaten any vitamins that day so he really needed a potato. Could he really have that potato? They also requested to eat the raw red cabbage! A middle school teacher, took his class to harvest strawberries at Crowfoot Farm. A young male came in his office the next Monday morning wanting to go back and pick strawberries. The teriyaki stir-fry received a standing ovation from the football team at school lunch. The Garden and Farm program collaborated with the school chef, and cut vegetables were put on the table while students waited to go through the lunch line. The students ate the vegetables, the lunchroom was calmer, and the lunch period moved more quickly. Staff observed elementary students sneaking vegetables from the bowl of veggies at the other end of their table, as their bowl was empty. The students picked herbs and then made signs for the lunchroom with them. On behalf of all secondary students, the Student Council officers planned on making “dime on pins” (diamond) in recognition of the “Best Lunch Ever” for the kitchen staff. This was decided after the chicken curry lunch one Wednesday. The superintendent noticed students hanging out in the Rishi Center garden, exploring the pond, garden beds, etc. Several students excitedly grabbed the superintendent’s arm and exclaimed that they had discovered fish in the pond. Elementary students were waiting for their turn to go through the lunch line, discussing which kind of dressing they liked best on their raw broccoli. The superintendent walked into the cafeteria when several kindergardeners yelled at him, encouraging him to try the raw spinach that had been set out in the daily veggie bowls on the lunchroom tables? In the homeroom class, the lesson was cooking with seeds–rice with peanut sauce and seeds in cabbage leaf wraps–using the portable kitchen and team cooking. The curriculum assistant, discussed the recipe with the class and had them guess which items were seeds or were from seeds and from what kinds of plants. She also discussed which items could be grown on Lopez in the winter. She talked about what in seeds are good for the human body to eat. Then they feasted together around a community table. In small groups in all the elementary school classes, all the students learned about sprouting seeds to eat and sprouted jars of red clover for a snack they are making next week. Groups of 5 made schedules for all next week of who would be responsible for rinsing and caring for the sprouts each afternoon and morning. Watching the team decision-making for this part was very interesting, especially to see the kids all trying to work together to decide who would do what when. One of the classes read the book The Enormous Turnip. 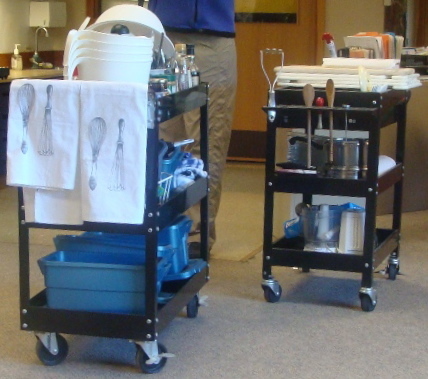 At 9 o’clock in the morning, the portable kitchen was brought into the classroom. The students cut turnips, onions, and garlic, and cooked them together in the wok. The entire wok full of turnips were eaten. The extra uncooked turnips were cut up for snack over the next two days, with children vying for the last piece! 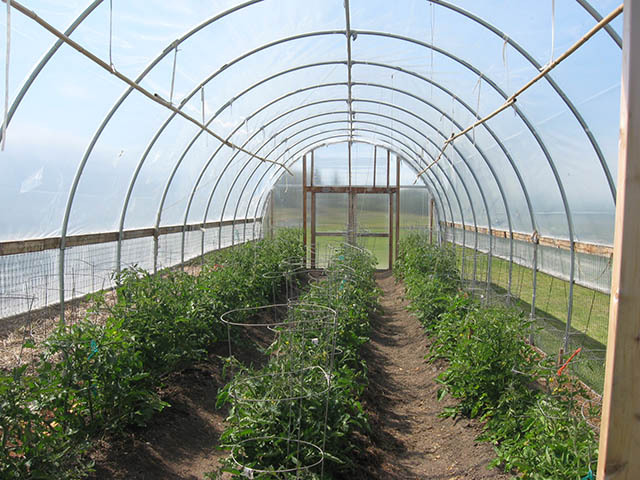 In the hoop house one day a student started the class in a very bad mood. He was a student that sometimes has anger management issues, and this day he was really angry that he had been assigned to a new garden bed for the 2nd semester which was not right next to his buddies. He was making rude comments and being rather obnoxious in his actions as he worked the soil to prepare it for some seeds. His teacher was on the verge of having him sit in the van for the rest of the period. Just after he actually got his hands in the soil and had created some seed furrows, he gradually started to mellow out a bit. By the time he planted and watered his seeds he was totally back on track and participating in a positive way. After he had already planted his original plot planned for the day, he enthusiastically planted some extra seeds that he teacher had leftover. The next morning the teacher commented on what an impressive 180 he did in class yesterday after starting out in such a bad mood. When asked what he thought it was that made him suddenly change his attitude and actions, he responded, “I don’t know. Planting seeds was just really fun.” This really speaks to what the experience of planting seeds in the soil has to offer human beings and to how this middle school boy was able to ground his energy into the Earth and completely rearrange his attitude for the rest of the day. In one of the elementary class homerooms, students were observed eating sprouts when they come in the morning. The school cafeteria offered humus and pita bread for lunch one day. The older students wondered what humus was, and when told, primarily declined to eat it. They ate the sliced turkey instead. When the elementary students were told that they were being offered humus, they replied, “Oh yeah! We learned about that in Lisa’s class!,” and they gladly ate it!